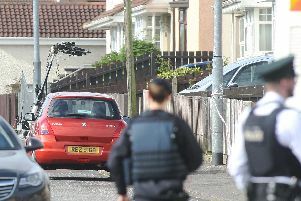 The man charged with the murder of Londonderry woman Jean Quigley is to go on trial in Dublin this week. Stephen Cahoon (42), whose last known address was at Harvey Street, is due to be returned for trial to the Central Criminal Court in Dublin today, Monday. The case is scheduled to be heard at Court 10. Cahoon was arraigned before the Central Criminal Court on Wednesday last. During the hearing he pleaded not guilty to the murder of 30-year-old Jean Quigley at an address at Cornshell Fields on July 26, 2008.